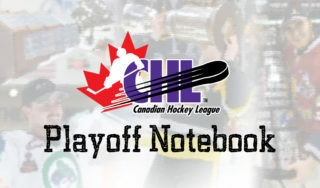 The Canadian Hockey League playoffs are here and throughout the road to the Memorial Cup, fans have a chance to win big! 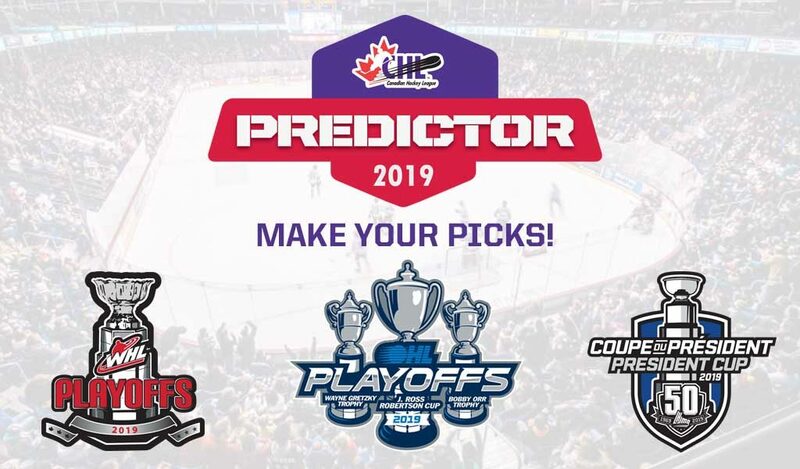 Below you’ll find information on the contest timelines, rules, and prizing to get you ready to play CHL Playoff Predictor! 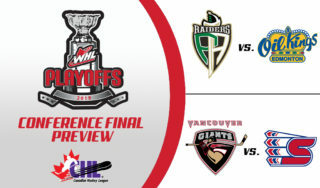 To prepare for upcoming #CHLPredictor games, head over to CHL Fanbase to make your picks now! The CHL Playoff Predictor contest is now officially open! Picks are currently open for round 1. You will be able to make your picks for the next round immediately following the conclusion of the current round. 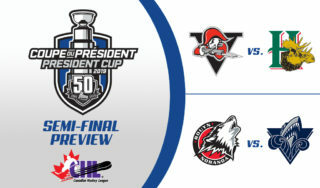 For CHL Playoff Predictor you will need to pick, round by round, the winner of each series in the WHL, OHL and QMJHL. Simply make your picks for each series and you’ll accumulate points based on the number of picks you get correct. Each correct pick will earn 5 points. Come back after the end of each round to make your picks for the next round. Point prizes are awarded to point getters with the highest total points (i.e. the person with the most correct series picks in rounds 1 to 3) throughout the CHL Playoff Predictor contest. Points will be awarded for first, second, and third place and any point ties will be decided by a ballot draw between those parties that are tied. Second in Total Points (Throughout Entire Playoffs) – CRAFTSMAN V20 20V MAX* Lithium 6-Tool Combo Kit – valued at $500, an Andrei Svechnikov autographed 2018 Team Orr, Sherwin Williams Top Prospects Official Game Jersey and a Nathan MacKinnon autographed CHL Official Hockey Puck. Third in Total Points (Throughout Entire Playoffs) – CRAFTSMAN V20 20V MAX LITHIUM 6-TOOL COMBO KIT – valued at $500 and a Jonathon Huberdeau autographed CHL Official Hockey Puck. Round prizes are awarded to the leading point getter in each of the first 3 rounds of the contest. In the event of a tie, a draw will be conducted between the tied parties for each round. Round 1 – CRAFTSMAN V20 20V MAX* Lithium 6-Tool Combo Kit – valued at $500 and a Sam Reinhart autographed 2014 WHL, Canada/Russia Series Official Game Jersey. Round 2 – CRAFTSMAN V20 20V MAX* Lithium 6-Tool Combo Kit – valued at $500 and a Pierre Luc-Dubois autographed LHJMQ, Official Game Jersey. Round 3 – CRAFTSMAN V20 20V MAX* Lithium 6-Tool Combo Kit – valued at $500 and an Alex DeBrincat autographed 2014 CHL Official Game Jersey. Round 4 – CRAFTSMAN V20 20V MAX* Lithium 6-Tool Combo Kit – valued at $500, CHL CCM Duffel Bag and an NHL ’19 Video Game. 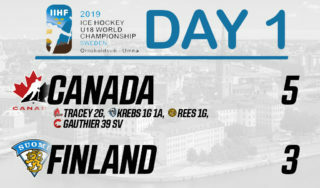 Picks are currently open for round 1, so head over to CHL Fanbase and make your picks for your chance to win! Good luck!